Had a wander about in the sunshine on the beach at Rattray Head today, camera in hand. 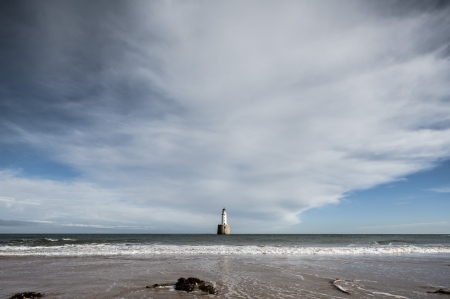 The lighthouse was built in 1895 by David Alan Stevenson and Charles Alexander Stevenson of the renowned family and is connected to land by a causeway at low tide. This great pictures show lot of emotions!